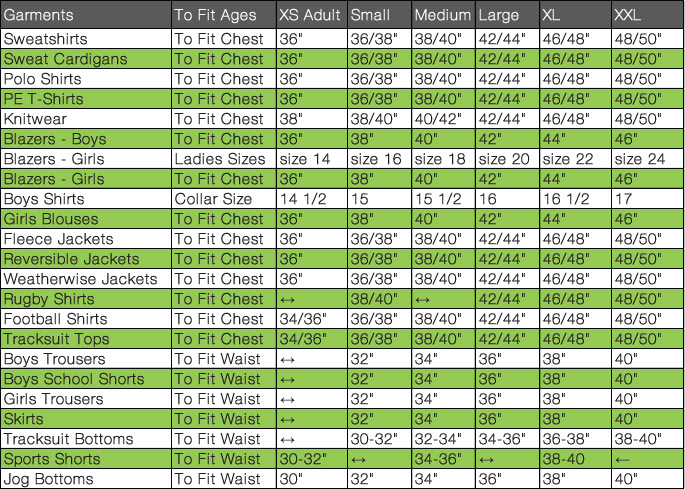 There is one exception to this rule and that is KNITWEAR - please order one size larger than chest measurement. 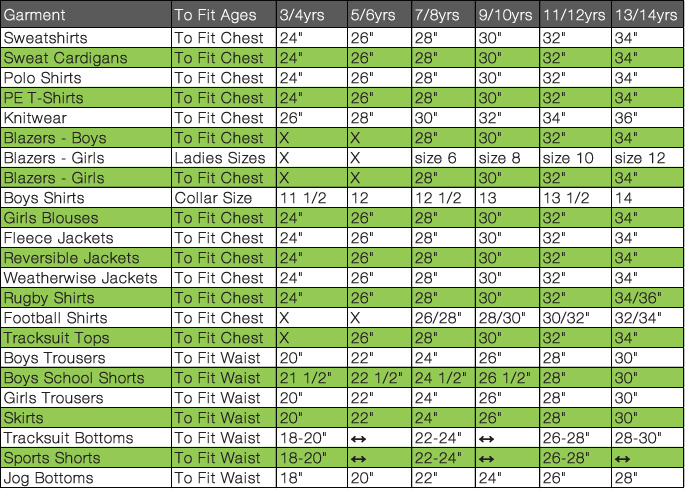 PLEASE NOTE: These measurements are for guidance only. 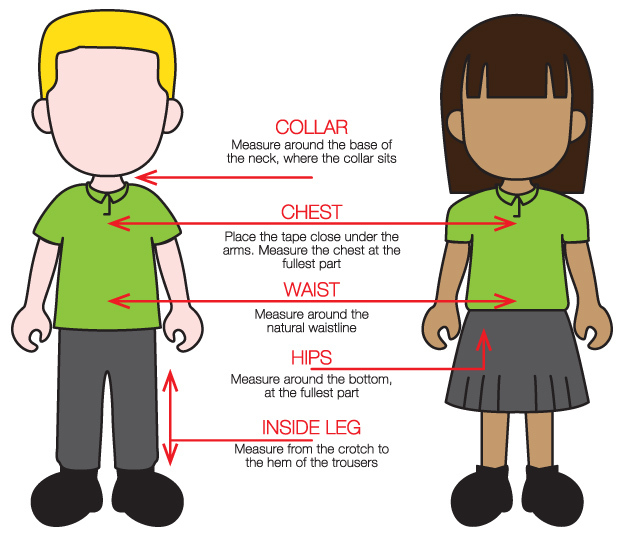 We supply a variety of different brands with varying fits, if in doubt you should see your school for a sizing set.